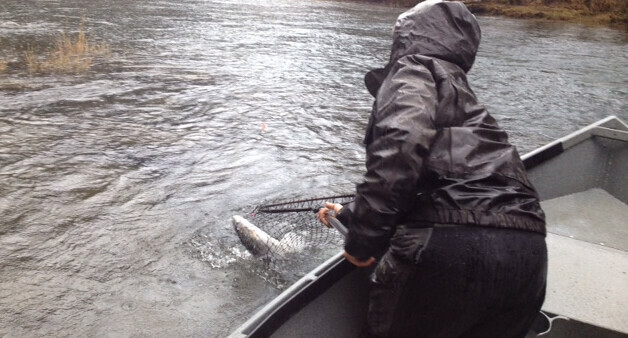 December 2015: Steelhead are coming! It’s winter steelhead time! The winter rituals of “cabin fever”, watching river levels, reviewing weather forecasts, fact or fiction fishing reports, getting your winter gear ready, and false hope has begun. The current weather forecast is “big rain coming”(weather forecasts). 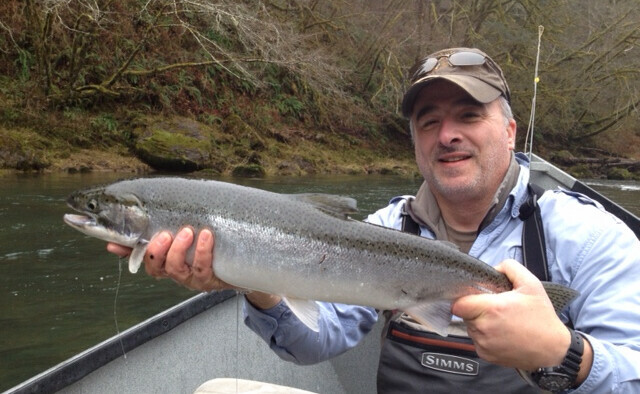 With certainty (cabin fever), those chrome bright steelhead will be coming in (reviewing river levels, false hope? ), ok, it’s just time to get ready. The Caddis Fly Shop is ready with plenty of winter patterns, lines, reels, and rods for winter steelhead. 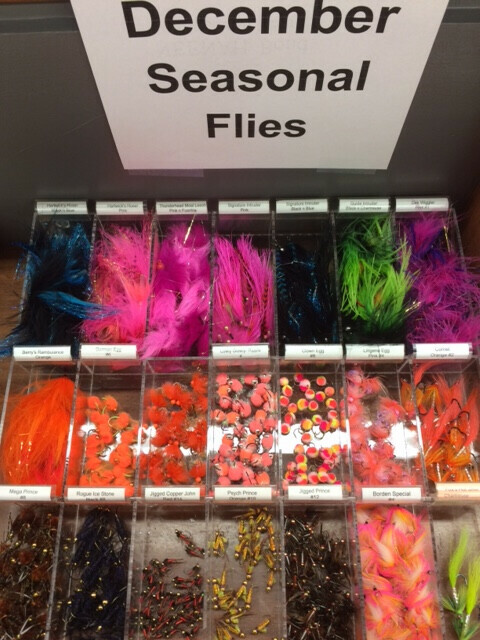 The shop has a nice December fly selection available. Also, for those anglers wishing to pursue trout…we have various nymphs patters. If part of your “getting ready” is tying up some egg patterns please check out our videos for the infamous “lowly glowly”. This pattern with a trailing egg pattern or simply alone, has been a steady producer (hope?). This entry was posted in Coastal Steelhead Fishing, Fly Tying Materials and Supplies. Bookmark the permalink.